Home › CNBC TV 18 India: Nick Parsons discusses the sell-off in Emerging Market equities and currencies. 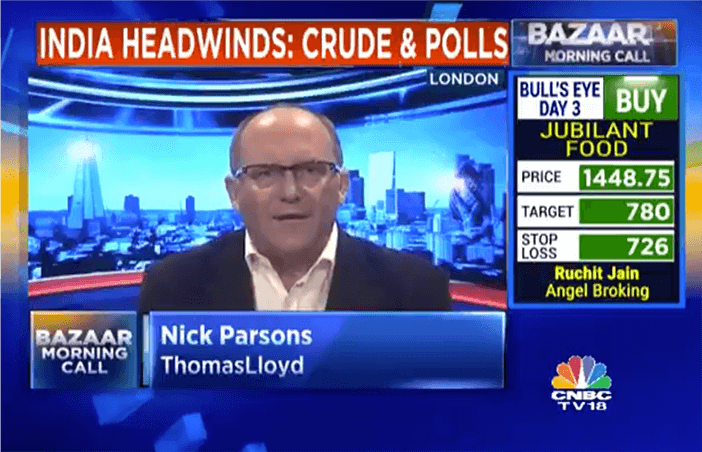 In an interview with CNBC TV 18 India, ThomasLloyd Head of Research & Strategy Nick Parsons discusses the sell-off in Emerging Market equities and currencies. He notes that India has been caught up in a wave of indiscriminate selling of EM assets despite economic fundamentals which are better than many of its peers. He argues that sentiment is unlikely to improve unless and until expectations of US interest rate rises start to be scaled back.